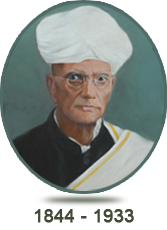 Vruddhapitamaha, Dayasagara Sri M. Venkatakrishnaiah popularly known as the “Grand Old Man of Mysore” filled many high roles as educationist, social reformer, rationalist, civil servant, Philanthropist and litterateur and so on. Rightly, he is known as a Grand old man and his contribution to the awakening of independence and freedom among the people of old Mysore state was the most significant. He was a legend not only in his time but continues to be so even now. His contribution to Journalism as well as several spheres of national work were of an exemplary nature. His position in the public life of Mysore was a pre-eminent one. He was loved & respected not only by the people of Mysore, but by the men in authority also during his life time. Sri M. Venkata Krishnaiah was known as Dayasagara, the very Ocean of kindness. He was full of the milk of human kindness & started an Orphanage Anathalaya, which housed & continues to house hundreds of students. He became the father of the fatherless. His dominant note had always been that of teacher; not merely the teacher of this special subject or that, but the teacher of the ideals of life and conduct. Also he was a political guru to many budding young patriots. He started many educational and vocational institutions to help and for the upliftment of poor, dalits and underprivileged.The educational institutions he started and the journalistic field in which he worked have been a source of inspiration and they have grown as public enterprises. He was a fearless journalist and his out-spoken and frank criticism of the Government at that time was the direct cause of the passing of the Mysore Newspaper Regulation in 1908. All his life, he was a journalist and he started several newspapers like ‘Vruttanta chintamani’, ’Sampadabhyudaya’, ’Saadhvi’, ’Wealth of Mysore’,’Mysore Patriot’,’Mysore Herald’,’Nature Cure’, both in English and Kannada, championed the cause of the oppressed and the underdog. Thathayya’s contribution to the awakening of independence and freedom among the people of old Mysore state was the most significant. 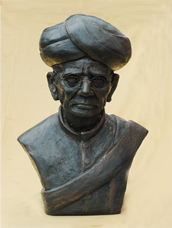 Tatayya’s contribution to Kannada literature consists of ‘Dhanarjaneya Krama’ (How to earn money), ‘Choragrahana tantra’ (the technique of detecting thieves) ‘Telemacus’, ‘Vidyarthi karabhushana’ (Students manual) etc. In recognisation of its worth, he was elected president of the ‘Akhila Bharatha Kannada Sahithya Sammelana’ held at Davanagere. As a social reformer Thathayya worked for the eradication of social evils like caste system, untouchability and fought for the educatin of girls and for the remarriage of widows. Like Mahatma Gandhi he was keen on the regeneration of the Civilization and the Culture of India free from corrupting influences. The Anathalaya at Mysore is a standing monument to the memory of a man who devoted his life to the amelioration of young people, handicapped by poverty.